Sylvia Spruck Wrigley was born in Germany on the 7th of March 1968. She spent most of her childhood in Los Angeles but escaped at the end of the 1980s. After a few years of drifting, she moved to England where her accent was irretrievably damaged. She somehow ended up in Estonia with no good explanation. You can contact her by email at sylvia@intrigue.co.uk. Superscience Me, a great podcast about science fiction and fact, interviewed me about my project to find science fiction novels which include old women as major characters. For Superscience Me Sylvia talks about her hunt for such SF books and about her previous findings. Spoiler: There are the strangest correlations; for example if you are an old women in a SF novel, you are likely to be a politician and/or a bodysnatcher; if you are black, female AND old, you are likely to have survived the apocalypse. 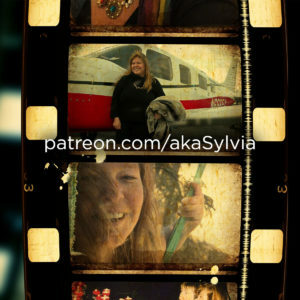 Find Sylvia's work on her website, where you can also sign up for the "Old Women in SF"-Mailing List & on Twitter. 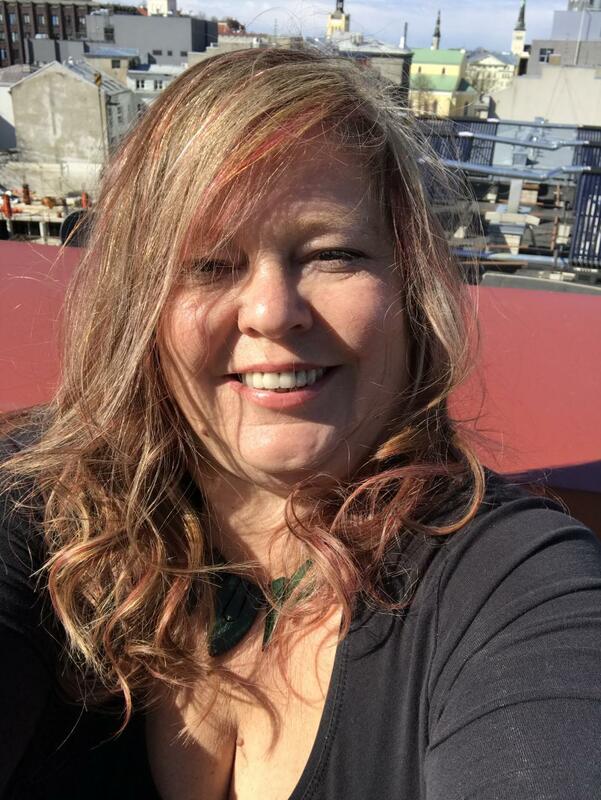 If you can think of any SF that features old women, contact her and add to the list! 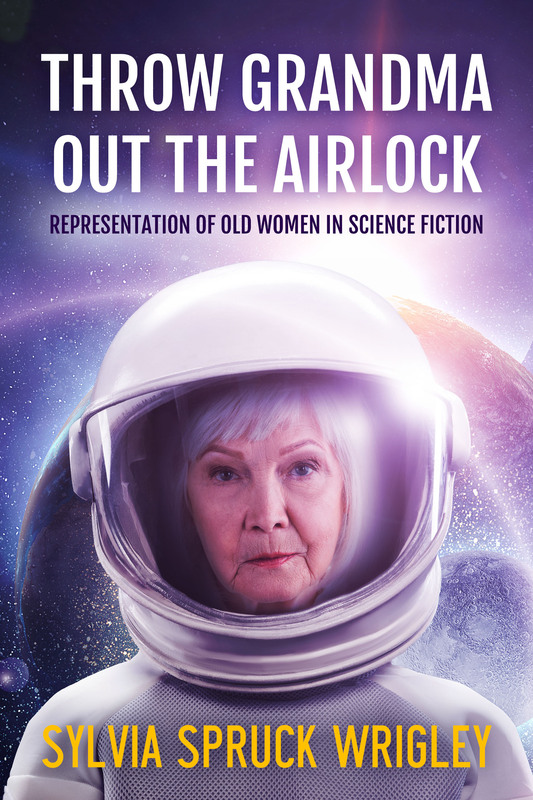 I met Sylvia at the Conference "Worlding SF" in Graz last december, where she presented the first findings of the list-project under the amazing title "Throw Grandma out the Airlock". More on this great conference and all the "SF Worlds" that where presented there you find in our 16th episode. 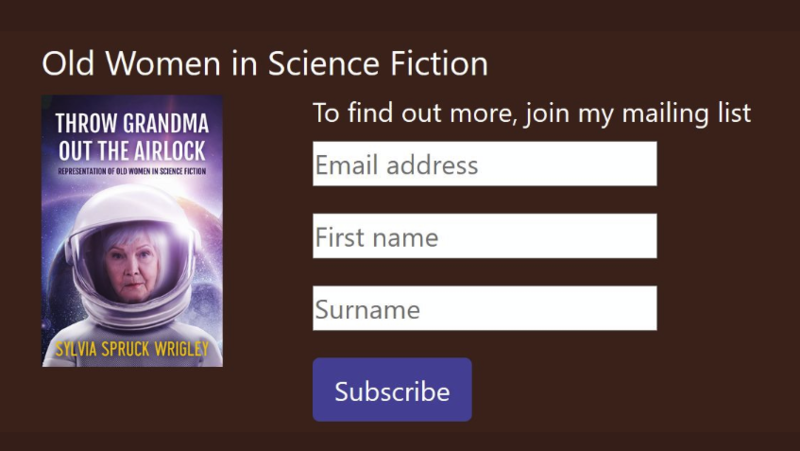 You can sign up for the Old Women in SF mailing list by contacting me directly or filling in the form on intrigue.co.uk. I'm excited to tell you that I am now on Patreon, writing about interesting people and complicated places and goats. A lot of my work right now is about my exploration of Estonia, a country I wouldn't have been able to find on a map if you'd asked me five years ago. I write about culture and Google Translate and day-drinking and Russian butchery techniques. Working out whether I should take my clothes off for the sauna or not has fed my social anxiety for the past year. Public transport is its own challenge and nothing makes me as nervous as getting on a bus with a driver that I can't understand on a route that heads straight to Russia. 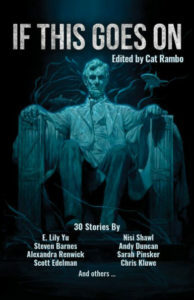 I am proud to be a part of the anthology "If This Goes On", the science fiction future of modern USian politics, edited by Cat Rambo and published by Parvus Press. The anthology includes thirty writers who've written about their vision of the future, including my story, The Choices We Make. Finally! I can tell you about The Triangle! I've been working on this all summer and I am super excited that the pre-order has launched! Expect more information in the next month or two. 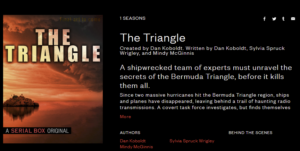 Join Dan Koboldt, Mindy McGinnis and Sylvia Wrigley in solving the mystery of The Triangle! I'm proud to have been included in the wonderful reference manual collated and edited by Dan Koboldt, Putting the Science in Fiction. Science and technology have starring roles in a wide range of genres—science fiction, fantasy, thriller, mystery, and more. Unfortunately, many depictions of technical subjects in literature, film and television are pure fiction. 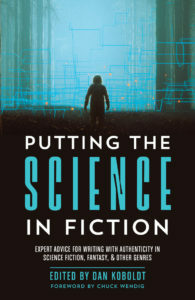 Collecting articles from editor Dan Koboldt’s popular blog series for writers and fans of speculative fiction—plus a foreword by Chuck Wendig (author of Damn Fine Story, Star Wars: Aftermath and more) and a collection of never-before-published articles—Putting the Science in Fiction connects you to experts in a broad range of fields. 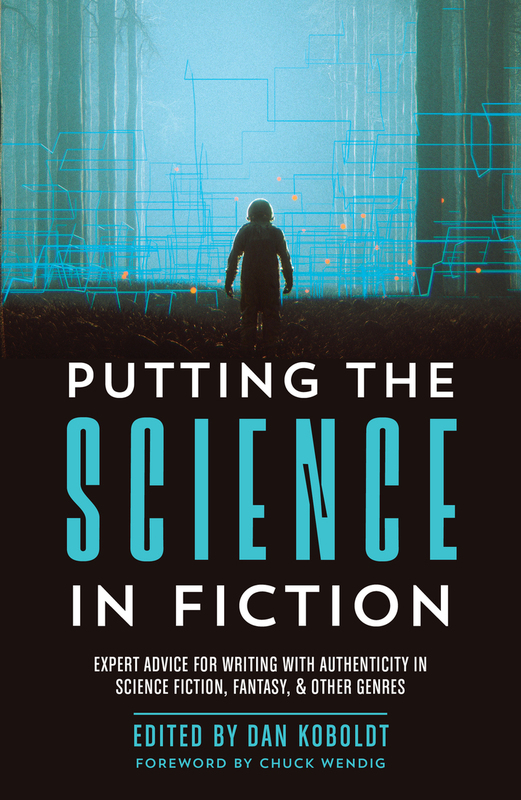 Scientists, engineers, medical professionals, tech experts and others share their insights in order to debunk the myths, correct the misconceptions, offer advice on getting the details right, and help writers create more realistic yet engaging stories to satisfy discerning readers. The book is full of great articles and detailed information across a broad range of subjects. It's available in all good bookstores now. For many, aviation still brings with it an air of mystery, a century-long magic trick. Though most of us will board an aircraft at some point in our lives, we know little about how they work and the procedures surrounding their operation. It is that mystery that makes these losses, such as the vanishing of Malaysia Airlines flight 370, so terrifying. Why Planes Crash Case Files: 2003 follows eleven aircraft disasters from 2003, detailing how the accidents happened and how they might have been avoided. This "CSI for aviation enthusiasts" series examines both the history and the current climate of aviation to unravel the instigating events which led to these catastrophes. The best and bravest faeries fell in the war against the Sluagh, and now the Council is packed with idiots and cowards. Domnall is old, aching and as cranky as they come but, as much as he'd like to retire, he's the best scout the Sithein court has left. In this age of constant surveillance, it shouldn't be possible to lose a Boeing 777 carrying 239 passengers. It's inconceivable that the aircraft flew for seven hours without anyone noticing that it was up there, completely off track. Yet, that's exactly what happened. The second book in the Why Planes Crash series covers incidents and accidents in 2002, including two in-flight suicides, the Sknyliv airshow disaster, how to write off a Saab 2000, an aircraft collision over the runway, a dramatic river landing, Air China 129’s flight into a Korean mountain, and finally, an in-depth view of the Überlingen mid-air collision. This, the first of the series, deconstructs eleven of the most interesting incidents that the world saw in the year 2001. These include a detailed analysis of the disastrous runway incursion at Linate, the passenger interference leading to the Avjet Aspen Crash and why an Airbus A300 disintegrated over Queens. Getting a pilot's licence was the furthest thing from her mind – until an ex-RAF instructor suggested that she wasn't competent to do so. The thing is, he could be right. Sylvia has just a few weeks to prove that she can fly as well as any man.